Retinitis Pigmentosa is a group of inherited diseases that usually starts with night blindness, followed by progressive loss of peripheral vision. Over a period of years this results in “tunnel vision,” and may lead to total blindness. It causes the progressive deterioration of specialized, light-absorbing cells in the retina, the paper-thin tissue that lines the back of the eye like film in a camera. The majority of people with Retinitis Pigmentosa are legally blind by the age of 40, with a central visual field of less than 20 degrees in diameter. An estimated 1.5 million people worldwide are affected by retinitis pigmentosa. Most adults with blinding Retinitis Pigmentosa should take a daily 15,000 IU vitamin A palmitate supplement and avoid high dose vitamin E to help prolong their vision. Eliot L. Berson, M.D., the study’s principal investigator and Professor of Ophthalmology at Harvard Medical School, said that adults who supplemented their diets with 15,000 IU of vitamin A palmitate daily had on average about a 20 percent slower annual decline of remaining retinal function than those not taking this dose. Based on this finding, the investigators estimated that an average patient in the study, who started taking a daily supplement of 15,000 IU vitamin A palmitate at age 32, would retain some useful vision until age 70, whereas a patient not on this dose would lose useful vision by age 63. The investigators also recommended that adults with Retinitis Pigmentosa should avoid taking high-dose vitamin E supplements. In the study, the disease appeared to progress faster on average in patients on a daily 400 IU vitamin E supplement than in those taking a trace amount of the vitamin. However, the study showed no evidence that normal dietary or small supplemental amounts of vitamin E have an adverse effect on the disease. The carefully designed and monitored clinical trial involved 600 patients between the ages of 18 and 49, who were at different levels of visual function. The six-year study was conducted at a cost of $5 million at the Berman-Gund Laboratory for the Study of Retinal Degenerations at Harvard Medical School, with the support of The National Eye Institute and The Foundation Fighting Blindness. The investigators stressed that adults considering vitamin A palmitate supplementation should first consult with their doctor. Fasting blood levels of vitamin A should be measured and liver function tests administered before starting treatment. People with certain pre-existing medical conditions may not be eligible for this treatment. Make a point of eating a balanced diet, without selecting foods that are especially high in vitamin A. Avoid taking high-dose vitamin E supplements. Commenting on the results of the vitamin A study, Dr. Berson stated, “One of my biggest concerns is that people will make the mistake of thinking that vitamin A supplementation in excess of the 15,000 IU recommended will provide even greater benefit. We have evidence in fact that supplementation of a regular diet with greater than 15,000 IU of vitamin A does not provide greater benefit. Moreover, a daily vitamin A intake exceeding 25,000 IU over the long-term can be toxic in adults and may cause side effects such as liver disease. Because the study involved adults between the ages of 18 and 49, no formal recommendations can be made for patients under the age of 18. Women with Retinitis Pigmentosa should not take 15,000 IU vitamin A palmitate supplements during the time leading up to planned pregnancy and during pregnancy, because high doses of vitamin A have been linked to birth defects. If you have questions regarding the vitamin A treatment, The Foundation publishes a free booklet entitled, Vitamin A treatment for Retinitis Pigmentosa. The Foundation also distributes a list of mail order companies that provide vitamin A palmitate in 15,000 IU capsules or tablets as the correct dose is not available in most local food stores. Beta carotene is not a suitable substitute for Vitamin A Palmitate in the context of this treatment. Pure Focus™ - Lutein Sublingual Spray the doctors in the USA who pioneered this alternative treatment for Macular Degeneration also found that Retinitis Pigmentosa also responded. Quite why this is if the problem is genetic ‘in the eye’ is baffling. If the problem is lack of nutritional uptake in the digestive tract (genetic) or a problem absorbing the nutrients in the eye then it may explain ‘why’. The simple fact is it does respond at any age and the average person could not care less why it works. Lutein Formula Spray is a sublingual spray containing Lutein, Zeaxanthin, L-Lysine, Bilberry and Gingko. 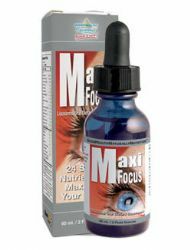 This is the best product for the delivery of these specific nutrients to the eye. Studies have shown these nutrients help improve and prevent vision loss due to Macular Degeneration. Lutein and Zeaxanthin filter light and serve as potent free radical scavengers for the Retina. 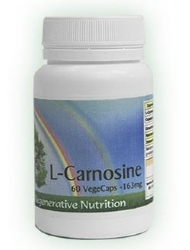 L-Lysine and Bilberry help maintain healthy blood vessels. Gingko improves blood flow to the blood vessels in the eye and improves the utilisation of glucose and oxygen, increasing ATP production and preventing vasoconstriction to the brain and retina (and improving memory). Pure Focus™ - Lutein Sublingual Spray has 800% more benefit than tablets or capsules. Can improve vision and prevent loss due to Macular Degeneration and other eye diseases. Recommended dosage: 6-8 sprays per day for the first two months then 3 sprays per day for the next two months and lastly 1 spray per day as a preventative. 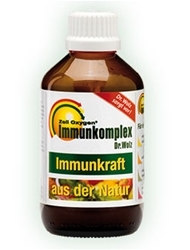 Essential EFAs in liquid form must contain at least 480mg of DHA and 720mg of EPA per teaspoon. This helps improve circulation, integrity of blood vessels, brain function, flexibility and permeability of cell membranes. It also helps protect the retina’s photoreceptor cells. HEMP OIL is the most balanced single source of essential fatty acids, (recommended dose one dessertspoon daily) but courses of cod-liver oil (one dessertspoon daily, not the capsules) also recommended. 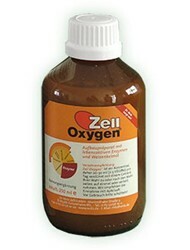 Zell Oxygen provides a broad range of nutrients anti-oxidants and enzymes that maintin healthy cellular activity. At least one dessert spoon daily. 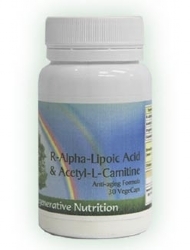 Alpha Lipoic Acid is the only antioxidant that is both fat and water-soluble. Studies have shown that it is able to repair oxydative and free radical damage and its protective effect extends to nearly every cell in the body. It has also been found to enhance the action of Glutathione, vitamins E and C. Recommended dose one or two capsules daily. The supplements recommended for the treatment of Retinitis Pigmentosa are listed below. Not all will necessarily be discussed in the article, as some may have been added after the article was posted. If a listed supplement is not mentioned within the article, or you wish to know more about any of the listed supplements, you can find out more information by clicking on that supplement below. You can also now add to your basket directly from this page.